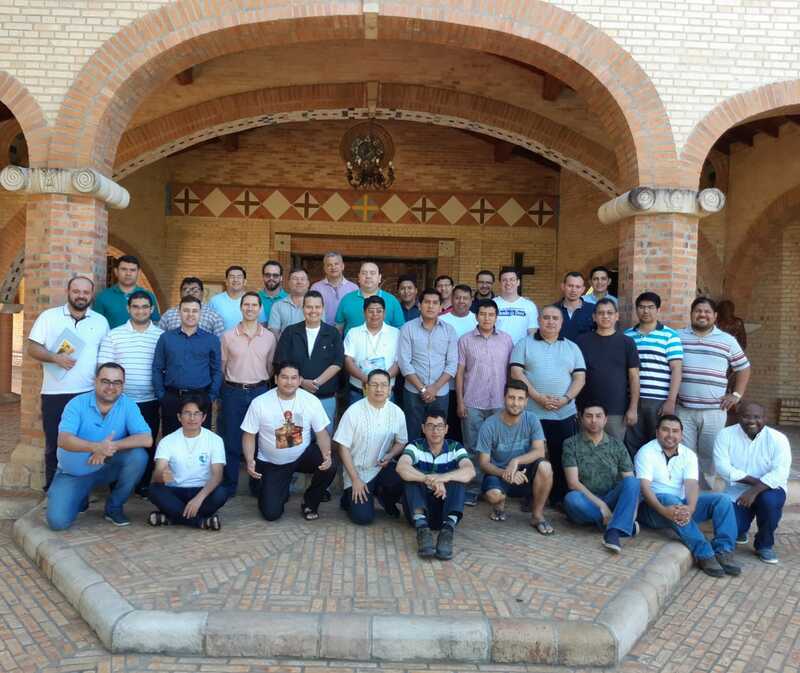 (Atyra, Paraguay) – For the first time, the young Redemptorists up to fifteen years of priestly ordination or religious profession in Latin America and the Caribbean, met in the Marianela Multipurpose Center of the City Atyra – Paraguay, from November 6 to 9, 2018 under the leadership of Father Vicente Soria Fleitas, Provincial of Paraguay and of Father Boris Calzadilla Arteaga, Provincial of Bolivia. 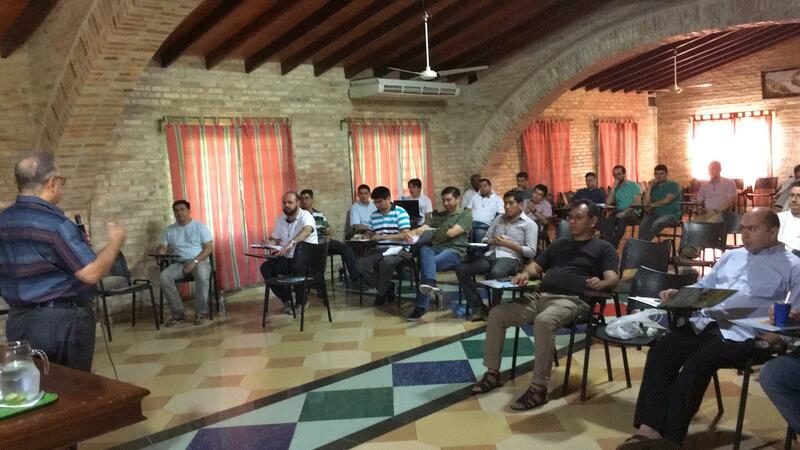 The two Conferences took part in the meeting are URSAL (Argentina, Bolivia, Chile, Paraguay and South Peru) and the URB (São Paulo and Rio de Janeiro). There were thirty-seven participants in total. Father Rogerio Gomes, General Councilor of the Congregation of the Most Holy Redeemer, Father Marcelo Araujo, Coordinator of the Conference of Latin America and the Caribbean, Father Fulgencio Ferreira, SCJ and Jose Rafael Villar, international analyst and consultant were the resource persons of this meeting. 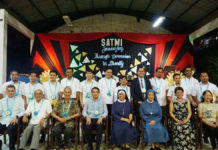 The meeting aimed to: deepen the process of restructuring the Congregation in communion with Pope Francis; make a study of the social, political and economic reality of Latin America and the fraternization of the confreres to unite in the spirit of restructuring for the mission. Father Rogerio Gomes presented the theme to the participants: “Restructuring for the Mission: sharing the spirit of restructuring and the relationship of the canonical visit to Latin America and the Caribbean.” With this synthesis we could have a general vision of the reality of the Congregation of the Most Holy Redeemer, challenging missionary creativity and thinking of something new, being more audacious in our commitment, making clearer choices, becoming more concrete and courageous; overcoming the spirit of pessimism, of comfort and fear of the future that paralyzes and kills. Father Marcelo Araujo presented the conclusions of the Conference of Latin America and the Caribbean and what was expected of the young missionaries who met, underlining the following: the importance of being rather than doing; Rediscovering and enhancing the founding charism: the option for Christ and for the poor; Living with the people and for the people: the incarnational dimension of the mission; the search for God: attentiveness to the call of the Kingdom of God as the source of the mission; fraternal communion with the confrere with compassion and solidarity; the testimony of hope for the victims of violence and injustice; the priority of continuing formation: taking care of the formation is taking care of the vocation. Then a reflection on the challenges of the Church today starting from the ecclesial vision of Pope Francis that promotes and defends a Church that goes out; where the solid signs of the commitment of the Church is to heal wounds, to warm the hearts and offer hope to the wounded world are realized. The analyst and international consultant José Rafael Vilar presented the theme: the Latin American reality in which we live, our redemptorist being: social, political and economic, starting from the history of formation and the consolidation of socialism and dictatorship in Latin America and in the Caribbean making us understand the current geopolitical situation and its implications for the new political configurations in the region. This reality places us and challenges us as evangelizers to promote the formation of conscience and culture of the human and social values of the Gospel so that our recipients are agents of social, political and economic transformation. 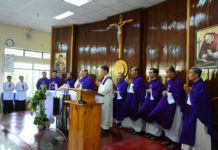 Father Hever Hugo Sánchez Gómez, C.Ss.R. Next articleThe Redemptorist Region of Zimbabwe Celebrates the Congregation’s 286 years of existence.